Software start-up Yojee is using artificial intelligence (AI) and blockchain technology to optimise freight movements and develop a new type of “collaborative economy” logistics model. Currently used primarily for last-mile e-commerce deliveries, Yojee connects retailers and logistics providers by combining an online freight platform with AI-powered software that optimises transport capacity throughout the supply chain, including real-time tracking, pick-up and delivery confirmation, invoicing, job management and driver ratings. Yojee co-founder and chief executive Ed Clarke told The Loadstar he spotted an opportunity during a stint working in South-east Asia’s burgeoning e-commerce sector. “I saw first-hand the disjointed nature of logistics and the complete lack of information being shared in any sort of organised manner. We saw a huge opportunity for all the different players in the supply chain to work together on a single platform,” he explained. Based in Singapore, Yojee has 33,000 vehicles and 592 warehouses registered across 10 countries in South-east Asia and Australia. Launched in January, it moved over 20,000kg of parcel freight in its first six months. At the heart of Yojee’s service offering is “autonomous synchromodal transport”, what Mr Clarke dubs “rapid logistics” – a real-time algorithm that can perform 1,250,000,000 pieces of analysis in less than three seconds. This translates to optimising 400 jobs and 5,000 vehicles in under a minute, automatically assigning deliveries to drivers and ensuring the fastest routes are taken. AI ‘chatbots’ have also been introduced to handle many of the sales, customer services and operational tasks, which allows e-commerce companies to book deliveries without direct human contact. “The system starts to learn how you operate and then the AI runs your logistics for you and further optimises your assets and empty capacity,” Mr Clarke said. “It’s a bit like a ‘brokerage 2.0’, whereby everything is automated and all modes are linked up for resource planning and optimisation. “We’re able to provide a system that drops in on top of any type of logistics company with moving assets and optimise that company – any empty capacity is offered back to the wider network,” he added. 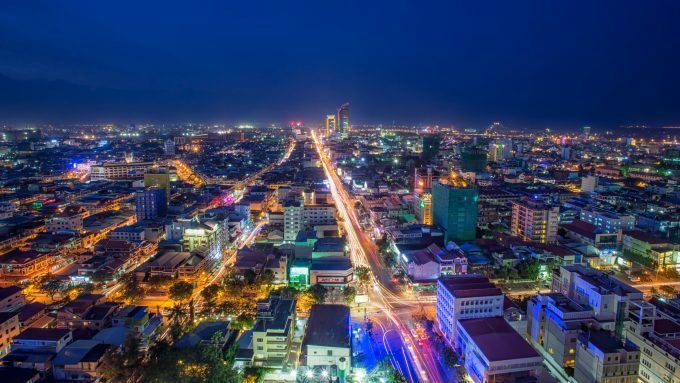 Yojee’s plug-and-play capability is being utilised in Cambodia where it has signed up Post Media, the country’s largest print media organisation. “They’re probably the most efficient nationwide delivery network in Cambodia, but they’re getting lfewer newspapers in their vehicles. 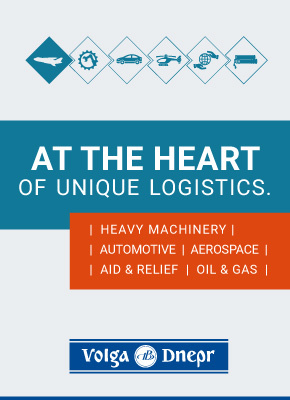 “We went to them and said you could be the best logistics company in the country if we drop our software on top. Suddenly you’ve got this digital express delivery network ready to go,” said Mr Clarke. As well as managing last-mile, Yojee has the capability to optimise all landside freight movements further up the supply chain, from the port gate onward. It also plans to expand into cross-border logistics, an area Mr Clarke said was “begging for” AI-enabled efficiencies. Yojee uses blockchain to create an indisputable record for every freight transaction, including GPS data, communications and status updates. “It also serves to build a reputation for all participants in the global supply chain, where the more jobs you do the system rates you higher and you have a better understanding of who is a good partner to use in different countries if you haven’t worked there before. It creates a sense of trust and truth and reputation,” said Mr Clarke. Blockchain encryption also allows logistics companies to partner together while safeguarding data and intellectual property. For example, with less-than-container-loads, companies can “share only the information that needs sharing with the people who need to know,” according to Mr Clarke. “So you can see where your items are in the wider scheme of things but not everything that is in that container,” he added. He claimed the company was seeking to help develop the supply chain industry, rather than revolutionise it. “We want to use our software to optimise as opposed to trying to disrupt. There’s some really good operators in logistics and people have potentially optimised it to the absolute maximum in terms of human decision-making. “But there’s a whole heap of new efficiencies that can be created with a system that works across the different sections of the supply chain using AI and machine learning, because if you can manage the item and plan the future resources, there’s so many efficiencies you can create with proper planning and decision making that take into account the future steps, and not just what’s best at a specific point in time,” he said. Supply chain radar: Flexport targets $1bn in sales this year – and the joke is on who, exactly?